A 19th-century chapel in Hackney that was most recently used as a women-only gym is to receive a new lease of life as a theatre. 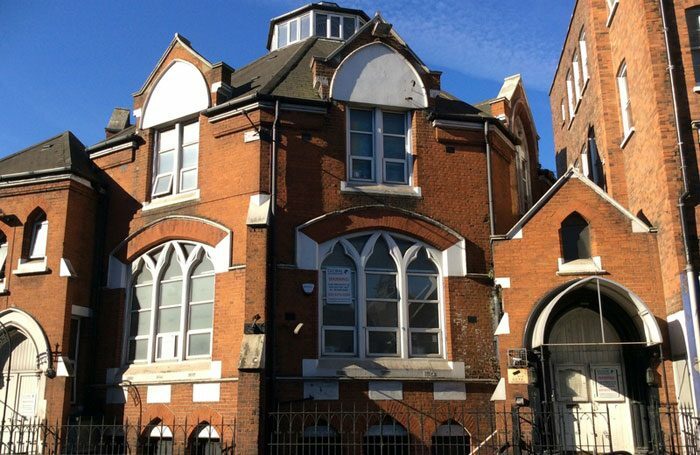 The building in Stoke Newington will reopen this week as the new home for amateur company Tower Theatre, while its rehearsal and performance spaces will also be available to hire. A former Methodist chapel, it was last used as a gym, which closed in 2014. Tower Theatre has been producing shows in London since 1932 and provided early stage appearances for actors including Michael Gambon, Sian Phillips, Tom Courtenay and Alfred Molina. Following a refurbishment project earlier this year, the building will reopen with a 120-seat theatre, and will also include office and social spaces. A former swimming pool in the building is being converted into a rehearsal room and space for wardrobe and props storage. While it will be home to Tower Theatre’s 18 annual productions, the rehearsal and performance spaces will be open for rental by professional companies at certain times of year.